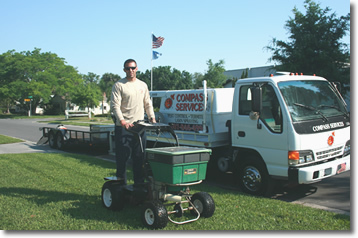 Compass Services, Inc is a full service pest control company specializing in lawn and ornamental spraying, commercial and residential pest control services, termite treatments, and real estate inspections. We also sell a complete line of professional pest control products in our retail store. We provide general household pest control and rodent control to residential and commercial properties. We also provide complete lawn service programs catering to your specific needs. All our services are guaranteed to please, we come back until the customer is happy. We are proud to say we were in Kissimmee before Disney was here! Come by to see our full line of home and lawn pest products or give us a call. We look forward to assisting you.